Bought 2 in different sizes for the laundry room and they give a great pop of color and are probably some of the best quality rugs I’ve ever bought. Love the backing. It’s not the kind that dries out. Would recommend. 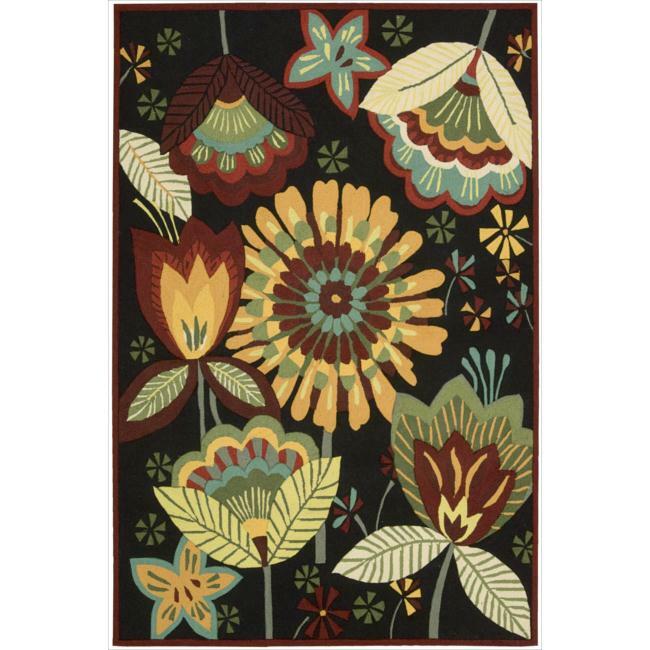 This beautiful transitional rug is meticulously crafted with hand-hooked yarns for additional texture and dimension. Enchanting designs and black, green, ivory, red and yellow hues come together to create a magical ambiance for any interior. This is a very gorgeous rug, with intense coloration. Color is much richer than what is shown in the picture. I purchased this rug in 3 different sizes for my kitchen. They were shipped quickly and the quality is extremely good. They look way more expensive than they were. A bit too whimsical for me. The colors are vivid and I realize now that the size of the flowers are more than I expected. Beautiful rug just not right for me. I received two of these. The colors are so bright and cheerful and modern, perfect for a kitchen or sunroom. Thick and soft. This carpet is very nice. I'm very happy with it. The color and fun will work well in my kitchen.